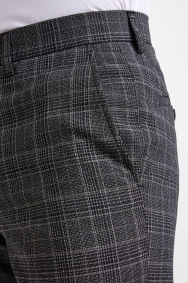 Rule the office in check. 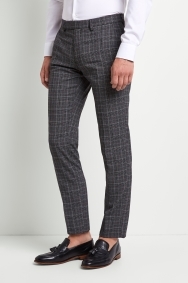 Featuring the timeless Prince of Wales pattern on a stylish grey background, these Moss London trousers bring personality and smartness in equal measure. Close cut for an on-trend skinny fit and made with stretch material for maximum comfort, they’ll also stay smart wash after wash thanks to the machine-washable fabric. After a more relaxed fit? 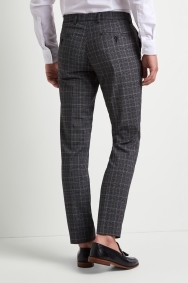 You can find this bold check in both tailored and regular fit too. Pair with a crisp white shirt and black tasselled loafers for a relaxed take on office dressing. Quality of product and fit was good.